King Tide on December 12, 2012 at Port San Luis in San Luis Obispo County. Volunteers are set to record thousands of images of the California Coast next week as the highest tides of the year are expected to hit the area on Monday, Tuesday and Wednesday. The volunteers are part of an effort to help people visualize how sea level rise will impact the lives of coastal Californians. It's called the California King Tides Project, and Central Coast representatives are on board to help document the event. Jenna Driscoll is working on the project for Santa Barbara Channelkeeper, and says her team will be focused on several locations between Point Conception and the Ventura River. "We're specifically looking at infrastructure like sea walls, staircases, public access points, as well as habitats," said Driscoll. "The goal is to show how these high tides can be representative of what our shoreline might look under sea level rise due to climate change." Gordon Hensley is with the San Luis Obispo County Coastkeeper group. He says he'll be mostly focused on Morro Bay, but would welcome photos from other areas of the SLO County coast. 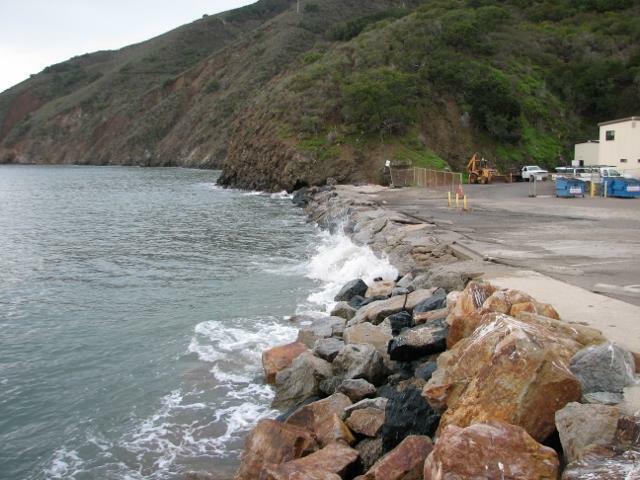 The peak King Tide is expected on Tuesday morning, Jan. 20, 2015 between 8:30 and 10:30 a.m. along the Central Coast depending on the location.